New air condition apartments for 2-6 persons with sea view. Ideal for quiet family vacation. Apartments in the first row of houses by the sea. 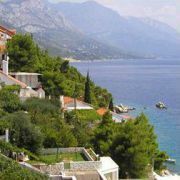 All apartments have large balcony with sea view, air conditioning … More » and TV/sat. There is also terrace with grill in front of the house, outdoor shower and lighting for night bathing. Private stairs into the sea. Private parking by the house. 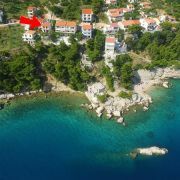 Apartment house owned by Bogdan family is situated near the most beautiful beach, 50 meters from the sea. The apartments … More » have a terrace, equipped with modern furniture, satellite TV, air conditioner, refrigerator, washing machine. 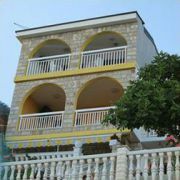 We are located in the small fishing resort Pisak, near the town Omis. 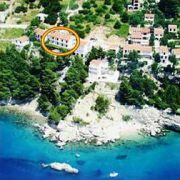 Enjoy beautiful sea views (just 50m away … More » , first row by the sea) and Brac Island. If you are looking for peaceful holiday, crystal clear sea and diverse beaches, Pisak is an ideal place for you.